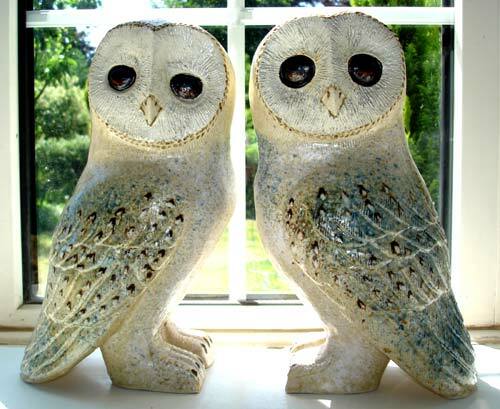 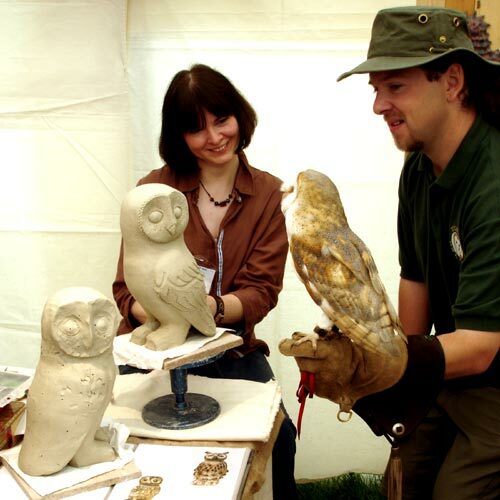 DESCRIPTION The barn owl hand is coiled and carved in a slightly grogged, pure white Valentine's clay body. 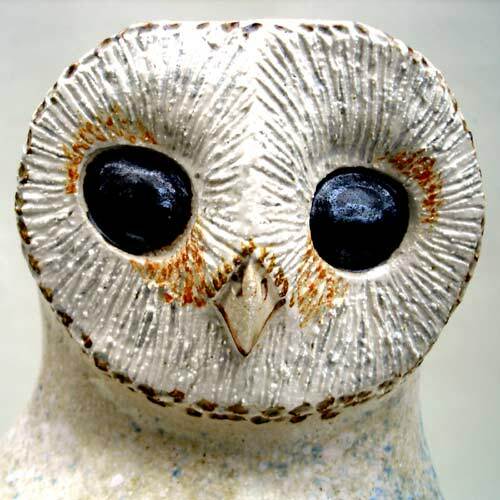 ARTIST'S STATEMENT The barn owl and the puffin are two of my most difficult pieces to create. 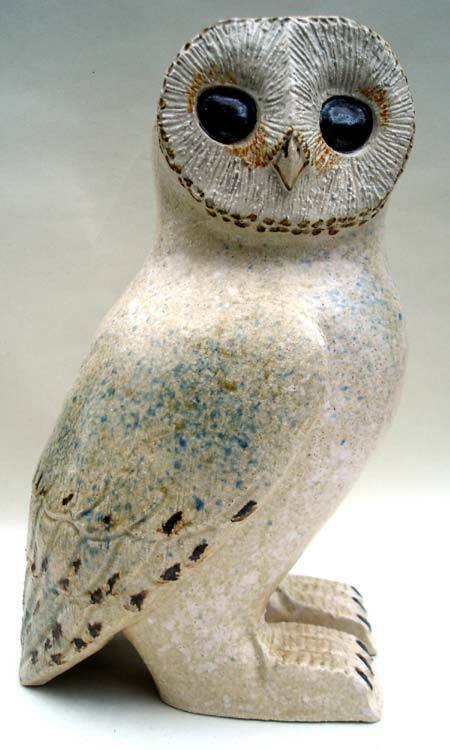 The owl is such a smooth and unassuming piece, with very gentle carved design patterns that make up the wings and the face. 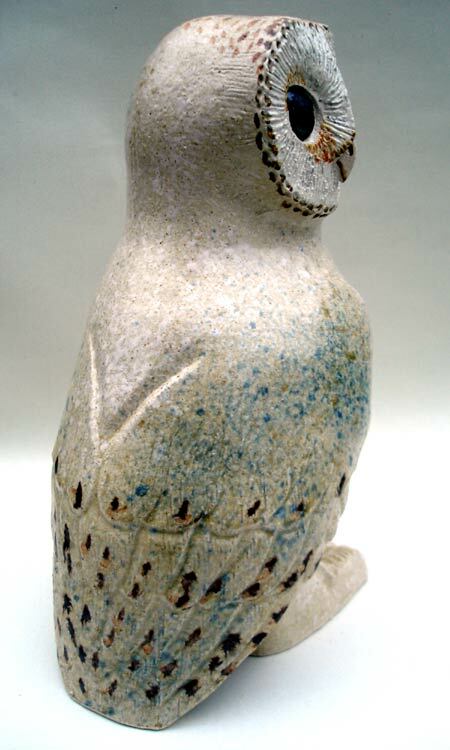 The glazes have to be applied very finely to imitate the light colour variations on the body of the bird.